Are you ready for school to start? I am! I love school supply shopping - getting organized - cooler weather - it's all great! 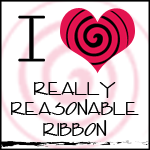 It also means thinking about ways to thank teachers because I truly appreciate them teaching my kids. I don't want to make the same cards as I did previously so I'm doing a makeover on a favorite from the last school year. I then tried a new-to-me method of embossing. I had seen it done several times. It's one of those techniques that sits in the back of my head that I say I will try someday... "some day" finally arrived! I first die cut my Lawn Fawn Scripty Thanks out of black card stock. 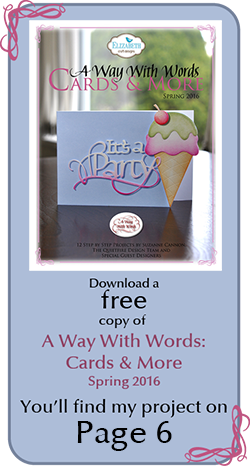 Then I pressed my watermark ink pad onto it and covered it with clear embossing powder. After I heat set that, I repeated the process again and achieved this wonderful glossy enamel look. Now I wonder why I waited so long to try this! I added some wood veneer from Studio Calico to finish my card. I hope you like it and try a technique that you've been meaning to! These are so cute...and cheery in the black, red and clean white space! 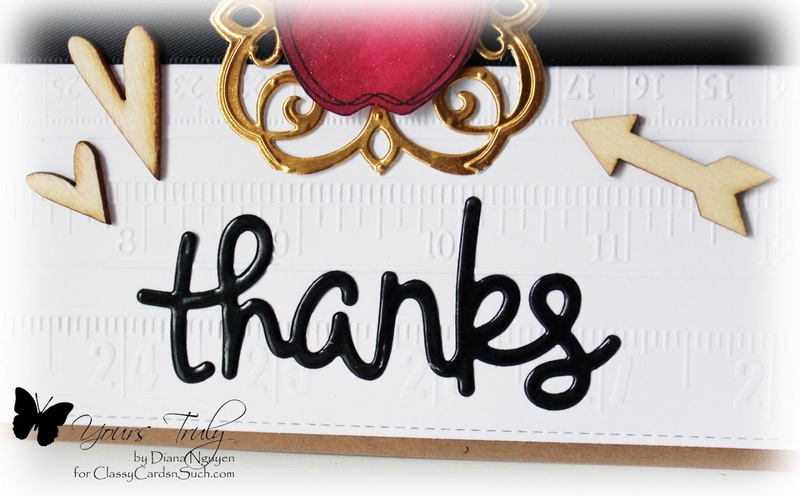 Came to thank you for your visit and comment on my MFT cards...I love yours and the way the die cut flowers overlap the open die cut strip...really pretty! Your birthday card with the die cut numbers was adorable, too!!! 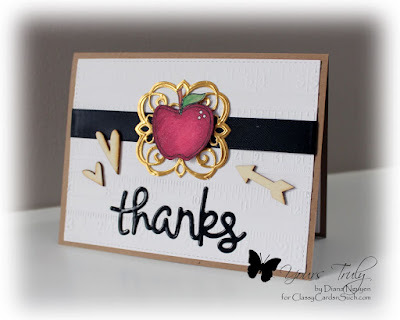 Love the apple and all the white space that you achieved even with the addition of the black panel. Clean and sharp! hello Diane! these are both adorable, soo fun! 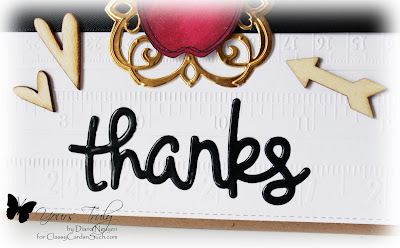 I am so glad you played along with Simon Says Stamp Wednesday Challenge! Darling Back to school card!